There are organizations dedicated exclusively to the conservation and protection of polar bears, as well as some that include the plight of polar bears as part of a larger mission involving other animals. Polar bears need help desperately, but before you donate to any charity, check it out to be sure it's a legitimate group. There are many organizations whose mission is to foster awareness of the problems faced by wild animals. Some, such as the Humane Society of the United States, advocate for all animals, while others advocate only for wild animals. There are a handful that advocate specifically for polar bears. Polar bears can use all the allies they can get because they're losing habitat to climate change, drilling and hunting. The U.S. listed them as a threatened species in 2008, but Canada still allows sport hunting and exportation of polar bears and continues to oppose legislation to protect them. Always research any charity before making a donation as there are many schemes to defraud well-intentioned contributors in the world of nonprofit causes. One of the all-inclusive organizations is the National Research Defense Counsel. Its focus is more on the polar bear's habitat rather than the bears themselves, but polar bears benefit from the group's efforts. The NRDC is composed of 1.3 million members and has a five-star rating with Charity Navigator, a nonprofit watchdog organization. SeaWorld is also involved with conservation efforts to protect polar bears. Its science division, the Hubbs-SeaWorld Research Institute, has done studies on polar bear habits and abilities in an effort to assist with their conservation. The World Wildlife Fund is another well-respected organization that works to protect polar bears. It began in 1961 and has an impressive list of accomplishments directly impacting habitats for wildlife. The Polar Bear Specialist Group funded the Hubbs-SeaWorld research and is concerned just with polar bears. A special conservation group working within the International Union for Conservation of Nature, its mission statement says, in part, that it will "coordinate, synthesize, and distribute scientific information necessary to guide the long-term viability of polar bears and their habitats." Polar Bears International is also dedicated to the preservation of polar bears, conducting research and raising awareness of the plight of polar bears through educational programs and by sponsoring programs such as Save Our Sea Ice to facilitate efforts to reduce carbon, which will, in turn, save the polar bear's habitat. 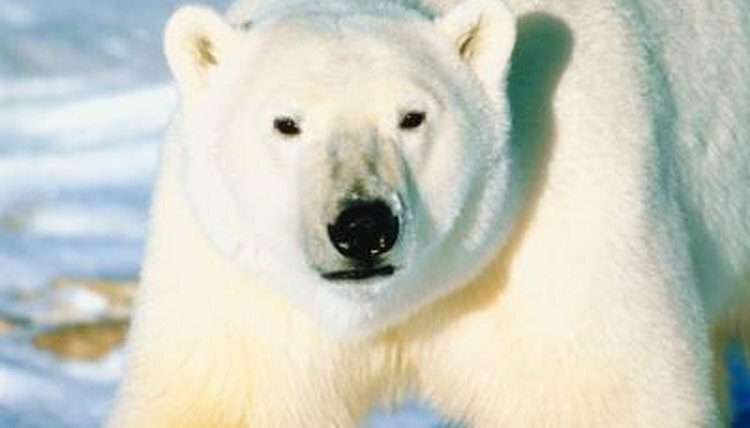 There are several organizations that can be found on the Internet with the words "polar bear" in their name that may or may not be actually working for the benefit of polar bears. Though there are many organizations doing good work, there are also those that are not putting donations to good use. Always check with a charity watchdog group such as Charity Navigator before sending a donation. If in doubt, stick to the well-known, longstanding organizations or give to an organization that helps all animals and specify that your donation should go directly to programs related to protecting polar bears. Is It Illegal to Have a Monkey as a Pet? How Are Animals Declared Endangered?